Who Will End ‘The Streak’? 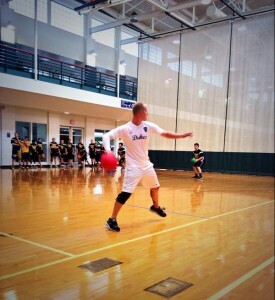 The state of Michigan has had an unprecedented amount of success in collegiate dodgeball over the past decade or so. In fact, a team from Michigan has won each of the last 11 NCDA Nationals Titles. This 11-year-run has been incredible, but there have certainly been a few close calls along the way. 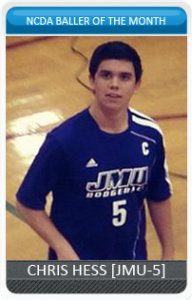 Chris Hess (Founder of JMU Dodgeball) turned the Dukes into a powerhouse basically overnight, as the Dukes were one of the favorites to win it all in just their second season. How could I put a team that only made the quarterfinals as my top option? Hear me out on this one, please. 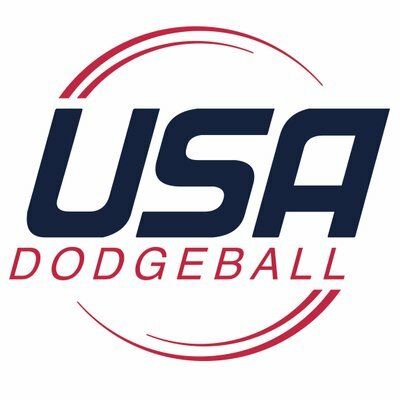 2013 James Madison shocked the College Dodgeball world on the Saturday of Nationals when they dominated Grand Valley State in pool play, resulting in the Dukes claiming the 3rd overall seed heading into bracket play. In just the program’s second season in the NCDA, JMU’s extremely athletic squad was making major statements all year long, dominating the East Coast Region and traveling out of the East to compete with schools from Kentucky, Illinois, Michigan, and more. In the fall of the 2012-13 season, the Dukes took down Kentucky on the Wildcats’ home floor in what would end up being the Wildcats only loss of the regular season. 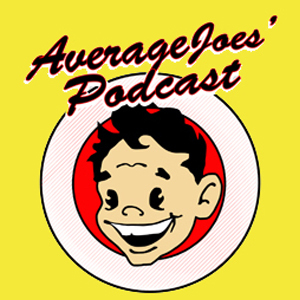 In the winter, they traveled all the way to Chicago to make a name for themselves at the Chicago Dodgeball Open. They did just that, giving GVSU a huge scare before losing narrowly. Of course, Nationals 2013 was the true coming out party for JMU. The pool play victory over GVSU instantly made James Madison the favorites to win it all the next day. The night prior to bracket play, just about everyone was predicting JMU would take home the title. In the end, the Dukes had the misfortune of running into GVSU early in bracket play on Sunday. This time around, JMU just wasn’t able to make enough plays to repeat their success from the day prior. They ended 2013 with a Quarterfinals exit, but there’s no doubt in my mind, if they had willed their way past GVSU that day, no team would’ve stopped them. The streak would have ended at the hands of JMU in 2013. Wes Hopkins’ 80+ mph throw was a big reason why Kentucky was so great in 2012-13. Coming in at #2 on the list is another squad from the 2012-13 NCDA Season. Once again, this team came up just short, losing to the eventual champion Grand Valley State in bracket play. Some people may not realize just how legit the 2013 Wildcats were. The Wildcats hosted Nationals that season, and were backed by a very supportive group of fans all weekend long as they stormed their way to a Final Four appearance, and almost more. UK entered Nationals 2013 as arguably the top team in the land, boasting a 16-1 regular season record! This squad had plenty of All-Star caliber players including Zach Ross, Thomas Kidd, Zach Brown, and the famous Wes Hopkins (80+ mph thrower). 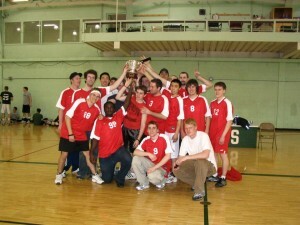 Many may have forgotten, but this team actually held a 1-0 halftime lead over GVSU in their Final Four battle. If it wasn’t for GVSU’s resilient play in the second half, we might be looking back at the 2013 season and seeing a National Title banner for Kentucky. 2013 was easily the best Kentucky team of all time. It would’ve been quite the storybook ending to a great two-year run if the Wildcats had ended the streak and claimed the National Title on their home court that year. Brent Gromer was one of the top players in the league in 2015, nearly leading JMU to their first title game appearance. It was destiny that this team would end the streak. Seriously. After coming up short a few times during the club’s first 3 years in the league, this was supposed to be the year they put it all together! 2015 was the final season for a number of JMU’s star players including Brent Gromer, Joey Cardella, Connor Ford, and many others. They had an absolutely loaded roster with the ability to beat any team in the country. Unfortunately for the Dukes, they fell just short, losing to a red-hot Central Michigan squad in overtime of their Final Four match. Had the Dukes pulled off that win, they certainly had the firepower to compete with GVSU in the title game. A few teams on this list did make it to the title game, and while the 2015 JMU team did not get that far, there is no question they were one of the closest teams to ending the streak. After winning back-to-back titles in 2005 and 2006, Ohio State came up just short in 2007. 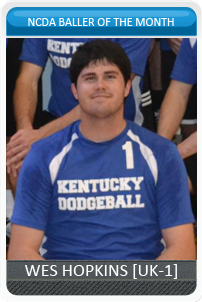 Thomas Kidd earned himself All-American honors after leading UK to the title game in 2012. Kentucky had an amazing run at Nationals in 2012. UK rolled all the way to the championship match, eventually losing to SVSU in a blowout. Some may argue they only made it to the title game because the bracket had all the Michigan schools on the same side that year. While those arguments are valid, UK executed with the path that was laid before them, including an impressive win over 1-seeded Kent State in the Final Four. Yes, Kentucky fell flat in the title game when they faced a tougher opponent, but making it that far is an accomplishment in itself, and worthy of the #5 spot on the list. As mentioned in the OSU section above, the 2008 Buckeyes did make it to the title game to face GVSU. That’s the only reason I am giving them honorable mention though. Want to know the score from that game? 9-1, Lakers. Yikes. After a breakout season in 2013, JMU had arguably a more stacked roster in 2014. This team would’ve been higher on my list, but they ended their season getting run out of the gym by GVSU in the Final Four. Final score of that game: 5-0, GVSU. Ouch. This one is still fresh in everyone’s minds. Towson was in a tie game late against MSU in the Quarterfinals. If the Tigers could’ve just finished that one, who knows where they would’ve ended up. Remember, MSU was up 2-0 on eventual champion GVSU in the very next round, before losing in OT. If Towson could’ve stayed on their hot streak for a few more games, maybe they could’ve ended the streak last season. Who has the best chance to end the streak this year? Now that we’ve taken a stroll down memory lane to discuss which teams came close in the past, here is my list of the best options for this year. I am only listing 4 teams, because in my eyes those are the only four schools outside of Michigan who have a legitimate chance at taking home the NCDA National Title in 2018 (Sorry UCF, next year…). I’ve heard a lot of good things about JMU this year. From a talent perspective, they have as good a shot as anyone to take home the trophy this weekend. The front end of this roster is loaded with highly skilled players like Schilling, Eschenburg, McGurl, and talented rookie Jonathan Smith. The Dukes have proven several times this year they are the best team on the East Coast, and that they have the capacity to compete with the top teams in the league. JMU has played CMU and GVSU a combined 3 times, and while they are 0-3 in those contests, they have made a couple of those games close (especially the nail-biter with CMU last fall). Of all the non-Michigan schools in the league this year, JMU seems the most qualified to end the Michigan streak. Nobody should be at all surprised if they make it to the title game this weekend in Richmond, VA.
It’s no secret that Towson is one of the best teams in the country. Their performance at BEAST this year, while disappointing from a win/loss perspective, was a huge testament to just how good this group is. Towson’s 2017-18 season has been filled with plenty of “so close, yet so far” situations. In the fall, TU lost each match they played against JMU, and lost a close match to BGSU as well. In the winter, the Tigers inched even closer to having a breakout win, most notably with their heartbreaking overtime losses to GVSU and JMU. Maybe Nationals will be their breakout event. Maybe the Tigers finally manage to get over the hump and get a few big wins during bracket play this year. Maybe Towson ends a frustrating season by finally reaching their potential and taking home the national title. I guess we’ll find out in a couple days. The third most likely candidate to end the Michigan streak is Kent State. As I have said before, when this team is on, they are very difficult to beat. I think a lot of teams will underestimate just how stacked this Kent roster is at Nationals. In fact, I wouldn’t be at all surprised if Kent pulls a few upsets over the weekend and makes 2018 their best team ever. Kent State’s chances to make it to the title game will ride a lot on how the bracket play seeding shakes out, but bottom line is this: Kent is is dark horse this year. Don’t make the mistake of looking past them. After a scorching hot start to the season, BGSU has cooled off significantly over the past few months. With that said, I am not naive enough to count them out completely. We all know what the Falcons are capable of when they are at their best. They held a 2-0 lead on the #1 team in the country (CMU) earlier this year. If BGSU can get back to playing their style like they did in the fall, they could make Nationals very, very interesting. Next Next post: Which NCDA Region Was Best in 2017-18?